The BCCI has banned Pakistani umpire Asad Rauf for five years on charges of corruption and misconduct. The ban prevents Rauf from umpiring or playing or representing cricket in any form or being associated with activities of the BCCI and its affiliates. 2.2.2 Soliciting, inducing, enticing, instructing, persuading, encouraging, facilitating or authorising any other party to enter into a Bet for the direct or indirect benefit of the Participant in relation to the result, progress, conduct or any other aspect of any Match or Event. 2.3.2 Disclosing Inside Information to any person (with or without Reward) before or during any Match or Event where the Participant might reasonably be expected to know that disclosure of such information in such circumstances could be used in relation to Betting. 2.3.3 Soliciting, inducing, enticing, persuading, encouraging or facilitating (a) any Participant to commit an offence under any of the foregoing provisions of this Article 2.3 and/or (b) any other person to do any act that would be an offence if that person were a Participant. 2.4.1 Providing or receiving any gift, payment or other benefit (whether of a monetary value or otherwise) in circumstances that the Participant might reasonably have expected could bring him/her or the sport of cricket into disrepute. Rauf was named as a "wanted accused" in the Mumbai Police's chargesheet for the betting scandal in IPL 2013 after he had left India during the IPL even as the Mumbai Police wanted to question him in person. The BCCI's disciplinary committee, in a meeting on Friday, found Rauf guilty of corruption and misconduct under articles 2.2.2, 2.3.2, 2.3.3 and 2.4.1 of the board's Anti-corruption Code. Rauf did not appear before the committee but sent his preliminary submission on January 15 and a written statement responding to the allegations on February 8. These statements, along with a report by the Commissioner of Enquiry, were considered before the decision to ban him was taken. Rauf repeatedly denied allegations of corruption made against him in the chargesheet and asked for proof. 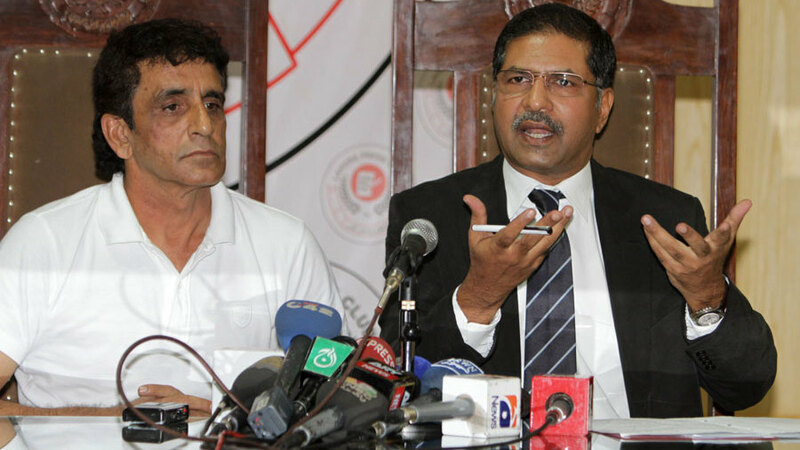 After leaving India in May 2013, where he was officiating in the IPL, Rauf held a press conference and stressed that he had not engaged in any corrupt activities. When news had emerged that Rauf was wanted for questioning by police, the ICC issued a release saying that the umpire had been stood down from his duties in the Champions Trophy in England. Rauf was later dropped from the Elite Panel of Umpires, but the ICC clarified that the situation was not a factor in his exclusion. Rauf made his first international appearance as an umpire in 2000, officiating in an ODI between Pakistan and Sri Lanka. He was included in the Elite Panel in 2006 and has officiated in 49 Tests, 98 ODIs and 23 T20 internationals.